Blue water is a common term among offshore fishermen. It signifies the exit from coastal or tidal green water into an ocean rich with life. Effective marketing strikes a nerve with the name of a product like the Shimano Tallus Blue Water Series. You’re here to find out if Tallus rod performance lives up to its blue water name, and so you shall. Product: Shimano Tallus Blue Water Series Conventional & Spinning Rods. When Shimano builds a line of rods, they offer a wide variety of choices. Tallus Blue Water rods stay in that mold with 18 casting rods and 15 spinning rods to choose from. Like the Terez line of rods, Shimano makes the Tallus to pair with braided line. Strong yet lightweight TC4 blanks provide the force to meet the requirements of braid and all models use not but premium components. It always helps to see the model numbers and understand their meaning. This clears up any possible confusion when ordering online and eliminates fears of getting the wrong one. Below you’ll find a list of Tallus casting models by number and a key for their abbreviations. The key to reading the models lies in the number and final letters. TLC doesn’t stand for Tender Love and Care it stands Tallus Casting. The letters represent the power and color of each rod and the numbers tell the length. 66 stands for 6’6″ while 80 means 8 foot, and so on. After the numbers come letters for the power of the rod. X is for extra and H is for heavy. M stands for medium or moderate. Finally are the letters for the color of the rod with a BL for blue or a BR for brown. Rod models for Shimano Tallus Blue Water series spinning rods are almost exactly the same as casting models. The only difference is at the beginning with a TLS instead of TLC. It simply stands for Tallus spinning. 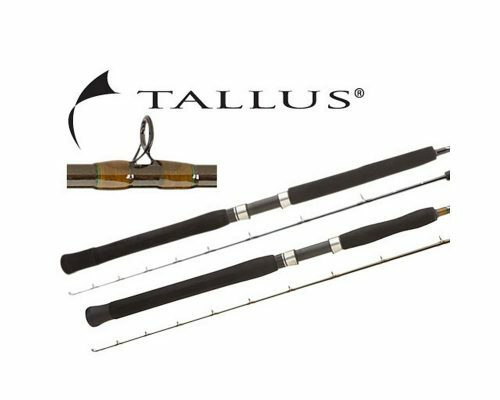 Tallus Blue Water casting rods start as short as 6’6′ and range up to 8 feet. Casting and spinning rod lengths in the middle ranges vary a bit so double check if it’s important. The rod actions are all fast but the range in power offers the real choice. Tallus rods start with medium light power in casting models and medium in spinning. They move all the way up to double extra heavy in casting models but stop at extra heavy in spinning sticks. All Shimano Tallus Blue Water series rods are 1 piece and rate only for braided line. The range of line capability starts at 20-50 and gets as high as 80-200. Rod specs tell the dimensions and behavior but features are just as important to performance. The material the blank is made out of, for instance, plays a major role in strength and pliability. There are a lot of questions on online forums asking about TC4 technology and not much information. Shimano surf rods using the same blanks have quality customer feedback. The basic technology involves a TGlass base wrapped in coils of carbon fiber. The ending result provides a fast action tip and solid backbone made specifically to handle braided line. When you hear about aluminum oxide guides, it’s referring to the inserts. Replacing the ceramic inserts of old (and cheaper rods), Fuji aluminum oxide guides bring the best quality in guide frames, rings, and inserts to the Shimano Tallus Blue Water series. Reel seats on Tallus Blue water rods are hard plastic with aluminum chrome color hoods. 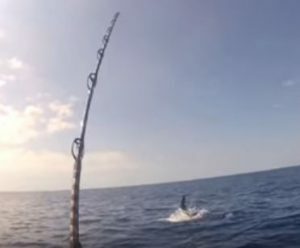 Customers complain about certain Daiwa rod reels seats not footing properly and popping off with a fish on the line. Shimano custom reel seats form to fit each rod precisely. Tallus grips use EVA synthetic rubber, a common grip choice among offshore rods. They tend to give a better hold than cork grips that become slippery when wet and slimy. Shimano Tallus handles feature the split grip style which is also usual for an offshore rod. Value equals price vs performance and the Shimano Tallus Bluewater series rods have high marks in both areas. Tallus rods run about half the cost of many popular offshore rods, but still deliver solid performance. There’s the spinning and casting models to please either preferred fishing style and plenty of variety to choose from. You may not want to invest in a rod that’s for braid only and Tallus rods all have fast action. It fits that braided line recipe but lacks purpose for monofilament. Of course you can use mono with these rods, but they won’t respond the same way with a line that stretches. Who Does Shimano Build Tallus Rods For? Avid offshore anglers that prefer the use of braided line will most appreciate the Shimano Tallus Blue Water series. Tallus rods match perfectly with Shimano Slammer reels for spinning models or Talica reels for casting. All Shimano rods come with a 1 year manufacturer’s warranty that covers against defects in craftsmanship. Alternatively, rod owners can choose one of two programs for rod repair if they so desire. The express option offers a new rod at 50% of MSRP with no questions asked. It includes free return 2 day priority shipping with a rod tube. 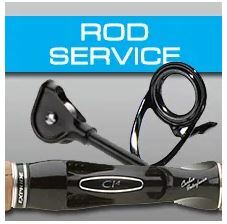 Anglers having trouble within the first 30 days of purchase get the 2 day return shipping and rod replacement free of charge, except for the initial shipping. Overall Ranking: 89 out of 100 anglers approve of Tallus rods. It’s plain to see that the Shimano Tallus Blue Water series isn’t for everybody. 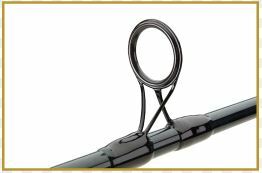 However, if you like fast action and sensitivity in a rod tip combined with braided line, you’ll want to consider the Tallus line. Perfect for offshore spinning and casting reels, Tallus rods don’t disappoint when the battle gets tough or when the bite gets finicky. Have experience with Shimano Tallus Blue Water series rods? Let other readers know by leaving a comment below. Thanks for reading and tight lines to all. FishtFight.com. Hello, I’m interested in the shimano tallus 80 size rod. I frequent partyboat trips out of Florida throughout the year. I’m a big fan of the shimano trevala series, which I have 3 models, and enjoy them. But, it seems to be a little short for party boats, my belief is, I would have better hook sets and it will be easier to get snappers into the boat with a taller rod. I see the west coast using 8ft rods for long range trips and shimano even has a westcoast rod. So, shouldn’t I be able to use the tallus 80 size rod with a talica 16 for bottom fishing? Hello Mike. The Terez rod is very lightweight and has quite a bit of flex in it. That’s good for a certain style of fishing where you can really get a good jig action. The Tallus is also light, but it does have a bit more backbone to it. This is a good video that shows the 6’6″ Tallus. The 8′ isn’t too long for rock fishing. I use a 7′ rod and wouldn’t mind an extra foot. Geoff. Sure thing Mike. Tight lines out there.